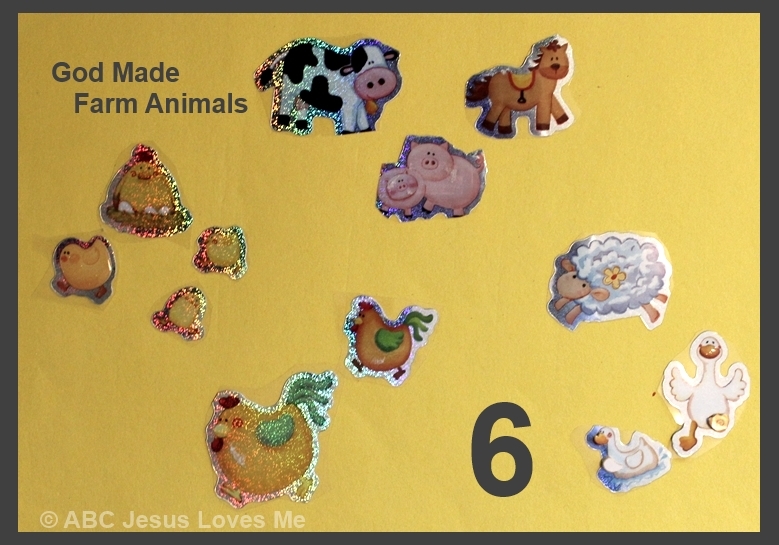 - With a piece of construction paper as the background, add stickers or pictures of farm animals. Add the number "6" to the page. 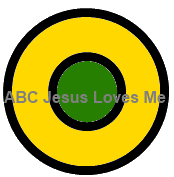 - Discuss how God made each animal with a different sound. "A cow says..."
- Play Jay Calls - Together play this computer game which asks the child to figure out which animal is calling. Play Animals Sounds Game - Computer game that asks the child to match the animal with the call. Play Animal Farm Game - Another computer game matching the animal and its sound. 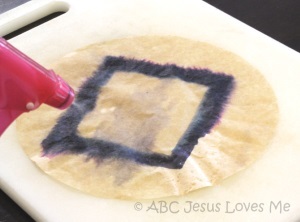 Flatten a coffee filter. Draw on the filter with green and yellow washable markers. Spray once in the middle of the coffee filter with a squirt bottle. Watch for about a minute as the colors run. Spray once again and watch. You may need to spray a few more times to get the water to reach the sides. - Using different sized circular lids, dip the lids into a shallow container of paint and stamp onto a piece of paper. Use green and yellow paint. Draw a smaller circle within the Circle worksheet. 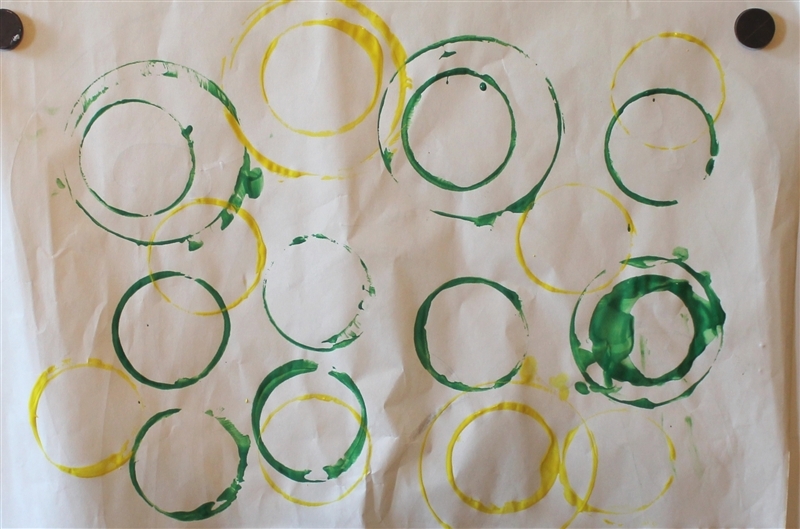 Place on a vertical surface and paint with green and yellow fingerpaint. Using a large ball such as a beach ball, sit on the floor and roll the ball back and forth.